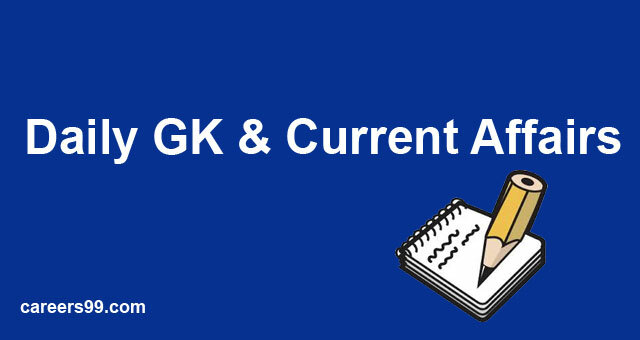 We are here by helping you to bring out the Daily GK Update and Current Affairs of September 10th, 2018. Contenders who are aspiring for the lot of upcoming examinations for those citizens we provided the Daily GK and Current Affairs of September 10th, 2018. Candidates once you enter into the current affairs you can get more knowledge and check your preparation level. You may also check the yesterdays daily GK Current Affairs and try to solve maximum bits correctly. India & France Both the states were signed for an agreement on “Mobilise Your City” on the presence of state Minister. Hardeep Singh Puri & Alexander Ziegler a Ministery of Housing & Urban Affairs he was the brand Ambassador of France in India. It was launched on 21st parties of the conference meeting. Under Pradhan Mantri Jan Arogya Yojana the Childhood Cancer treatment will be recovered which was announced by the Union Government. While speaking at a function in New Delhi this information was shared by the NITI Ayog Member. This child cancer was going to treat on Ayushman Bharat Scheme. Under this scheme, 1.5 lakh will be granted for the child family. The centers will be opened across India by 2022 under this scheme. Alibaba Jack Group Holding limited a Co-founder of Chinas largest firm is becoming to step down on September 10th, 2019. Daniel Zhang a Cheif executive will change the chairman post when completed his chairman ship. Aishwarya Rai received a Meryl Streep Award for her Excellence at Women in Film Television Indian Award. The function was established to the best female talented Bollywood & Hollywood. It was the international part to promote professional development & achievement in the film industry, video, and screen-based media. In the US Open Tennis, Novak Djokovic of Serbia won the Men’s singles final.He defeated Juan Martin del Potro of Argentina in straight sets. It was Djokovic’s 14th Grand Slam title and the third US Open title. He is now just three Slams behind Rafael Nadal and six back from the record 20 held by Roger Federer. Triple Jumper Arpinder Singh became the first Indian to win a medal in the IAAF Continental Cup. He created a history by getting a medal at Ostrava in the Czech Republic, he clinched a bronze. It was held on outdoor hard courts at the USTA Billie Jean King National Tennis Center in New York City. The 4 grand Slams of 2018 which is also called as majors. The complete list of winners offers the ranking points, prize money, media attention, the greatest strength and size of the field, and a greater number of ‘best of’ sets for men. This Grand Slam contains of Australian opens in January the French in May & June and in July the Wimbledon, and finally the August & September the US Open the complete list of Winners 2018.